Walking to school helps kids concentrate in lessons and could even reduce the need for dependence on drugs to control many severe conditions like ADHD. This is in accordance to new research. In a layman’s language ADHD can be described as a form of anxious attachment. 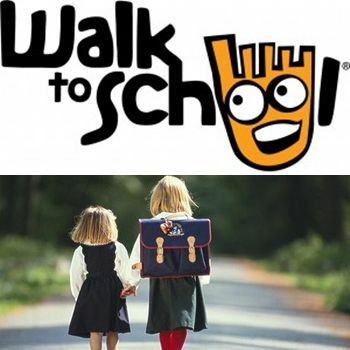 As you all are aware that October is named as the “International Walk to School Month,” now is the thirteenth year. A new research study from England which involves about 2,500 children ages 7 and 8, has concluded that Walking to school helps kids concentrate better and therefore possibly reduce the need for a child to take ADHD medication. Well for the surprise of many, eight out of ten children that is 80% from this survey declared they were calmer and better able to concentrate in lessons and Walking to school helps kids concentrate. Plus these kids also felt healthier and fresh. It was thus found that kids who cycled and or walked to school, instead of traveling by car or public transportation, performed evidently were better on tasks demanding concentration, like solving puzzles, and that the effects lasted for many hours after they got to school. The study was the chunk of “Mass Experiment 2012,”this is a Danish project that observed the relations between concentration, nutrition, and workout. And Walking to school helps kids concentrate also became part of this experiment. Previous research from the University of Montreal has found that exercise helps our brains make better use of oxygen. It may also reduce psychological fatigue and improve your thinking in between gym sessions. And last week Swedish researchers have found that muscular boys will live longer than their weaker friends and even if they are overweight by the time they reach adulthood, those with stronger muscles tend to live longer. Lots of parents prefer to drive their kids to school and ignore that Walking to school helps kids concentrate because walking on streets and roads are more car friendly and makes the journey prohibitively dangerous for anyone, especially young children. That problem is aggravated as schools are usually being built on the edges of slumping development, rather than in a walk able context. And secondly driving to schools is far easier than sparing time in the morning for kids so parents take the easier way and not favor the idea of Walking to school where helps kids concentrate at schools. Good habits learned young are learned better. Teaching your child to walk safely to school will stand them in good stead for the rest of their life. While walking to school your child will learn to interact with other friends who are alike. Thus this habit of walking to school will help them socialize and provide them confidence to boost their morale. And vice versa walking home can be a great time to think, relax, and ponder over their day. By switching from driving to walking, we can save huge amounts of carbon dioxide, helping to avoid climate change, and shrink levels of air pollution which are a major cause of asthma and congestion in people. For residents who live near to schools, who suffer from huge struggle with traffic crowding in small residential streets, can be a form of great relief. As this is also our social and moral duty towards these residents. Thus Walking to school not only helps kids concentrate but it has far more advantages than we can think and imagine of. People have complicated lives, with children at different schools and jobs, and many other daily tasks to complete so it can be a big challenge and many would not be able to do which they cannot be blamed for but we should make an effort. Parents often have very real concerns about the safety of their children crossing roads, and ’stranger danger’ which also have to be kept in mind. And we should respect their decision as free citizen of a free world.